Japanese scientists are developing pollinator drones that can assume the vital role bees normally play in the planet’s ecosystem. Dr Eijiro Miyako, from the National Institute of Advanced Industrial Science and Technology, experimented with an ionic liquid gel and found that drones coated in the gel could fly between lily flowers, collecting and depositing pollen much the same as their black and gold organic counterparts would. The hummingbird-sized drone is fitted with a strip of animal fur (to mimic the tiny hairs on a bee’s body to which pollen becomes stuck) and then coated in the gel. This particular gel is actually dual-purpose: its reusable adhesive quality can both collect and deposit the pollen while it also interacts with light waves to create a type of camouflage which could prove useful in future, were such drones to be deployed in swarms, to protect against predators in the wild. "It is an intriguing idea of course, it's not new as an idea, it's a start — they've achieved it with a very big flower, mind you," Katja Hogendoorn, a postdoctoral research associate at the University of Adelaide, told ABC News. 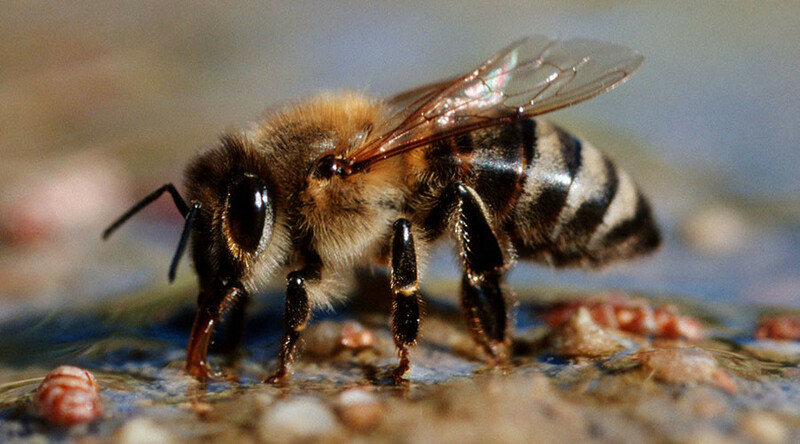 At present, bees face ever-growing threats from both pesticides and viruses as evidenced by the recent “endangered” classification of the Rusty patched bumble bee of North America, believed to be largely responsible for the pollination of blueberries, tomatoes and wildflowers. While the idea of replacing bees with mechanical surrogates is not new, the improvement in drone technology has taken science fiction that bit closer to science fact. However, we are still a long way from seeing swarms of mechanical bees pollinating our crops, with some questioning whether it will ever be possible given the number of obstacles still to overcome. “This little machine will certainly pollinate, but how many would you need for, say, 1,000 acres? "asks Trevor Weatherhead, Executive Director of the Australian Honey Bee Industry Council. "You have your pumpkins and watermelons where the flowers are in under the leaves themselves, and the bees sort of fly in under — I'm not sure how the robots would be able to get in and out." While the technology is still in its nascent stages it shows early promise in helping humanity to overcome one of the biggest threats facing our food resources. Advancements in both drone technology itself as well as GPS tracking would help to automate the system in future and bring us one step closer to food security across the world for decades to come.